NICOLAS KOECKERT, violin and DUDANA MAZMANISHVILI, piano. 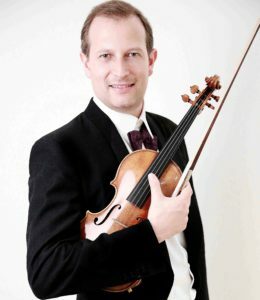 NICOLAS KOECKERT, the Munich born violinist and DUDANA MAZMANISHVILI, the Georgian pianist will give 2 recitals during November, 2017. The second will be on Thursday, November 23 and Nicolas and Dudana will play music by Mozart, Saint-Saëns, Tchaikovsky, Schumann and Liszt. Carnaval, op. 9; (21 short pieces representing characters from Italian Commedia dell´arte). This entry was posted on Saturday, November 11th, 2017 at 9:49 am	and is filed under Past Concerts. You can follow any responses to this entry through the RSS 2.0 feed. Both comments and pings are currently closed.